The American legal system says Bindi Irwin needs to prove dad Steve Irwin is dead. As reported by Melbourne’s Age newspaper, lawyers for “Crocodile Hunter” Steve Irwin’s 17-year-old daughter Bindi must submit her father’s death certificate to a Los Angeles court to prove that he is actually dead. Irwin’s father, who had a high profile on US television as a host of wildlife programs, was killed by a stingray barb in 2006; his funeral was broadcast on news services around the world. But as strange as it seems, a Los Angeles court has ruled that without documentary proof of Steve Irwin’s death, it cannot proceed on the assumption that he is, in fact, dead. At stake is Irwin’s daughter Bindi’s earnings from the reality television program Dancing with the Stars, on which she is currently competing. Under US law, contracts with minors must be processed by a judge; during that process both parents or guardians would usually waive any legal right to the minor’s income. But this very strange legal wrangle began when a Los Angeles Superior Court rejected Bindi’s “minors” contract with the show because the ancillary paperwork did not comprehensively prove that her father was dead. Irwin’s lawyers had included in their submission a release stating that Irwin’s mother, Terri, surrendered all legal rights to any income Bindi may make from appearing on Dancing with the Stars. 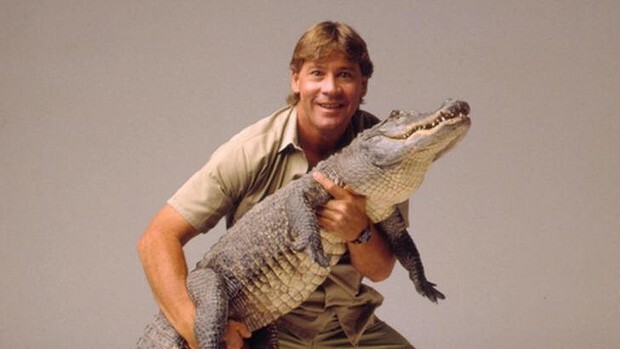 Owing to Steve Irwin’s huge profile in the US, his death created international headlines and his funeral was broadcast on news services around the world. Bindi was eight years old at the time and gave a memorable speech. One of the most revealing aspects of the case is that it has effectively cracked open the financial terms of a reality TV contract, a rarity in US television where the details of such contracts are typically considered “commercial in confidence”. According to the contract, Irwin is to be paid a fee of $US125,000 to appear on the show, plus $US10,000 per week for the third and fourth weeks, $US15,000 for the fifth, $US20,000 per week for the sixth and seventh weeks, $US30,000 per week for the eighth and ninth weeks and $US50,000 per week for the tenth and eleventh weeks. At this point in the competition, Irwin has earned $US230,000. She and dancing partner Derek Hough are widely tipped as possible winners. They are the only couple in the series so far to receive “10” scores from all three judges twice. They were scored “perfect 10s” for both a rumba and an Argentine tango. Though some media outlets are reporting that her income from the show is in jeopardy, there is no real suggestion that her salary will be withheld, though it may be delayed as the court processes the paperwork. Irwin has not commented publicly on the legal wrangle. But we imagine the matter is rather distressing for her and her family. How utterly ridiculous. Then again, when did commonsense ever have anything to do with the American court system? Justice is blind and impartial in its application, at least in principle. While following the letter of the law in this case seems unnecessarily rigid, in fact, it makes perfect sense. The resolution is very simple: like everyone else in similar position of having to provide proof of a death, all she has to do is deliver a copy of the death certificate, which will then be included in the permanent record that shows the law was followed. Where’s the problem with that? You mean after on of the highest profile deaths in recent years – caught on video, no less? Where do American jurists live – under a rock? Yes, Yolly, that’s precisely what I mean. No one disputes that Steve is dead. But if the law requires a release from living parents or inclusion of the death certificates for deceased parents “for the record,” then that’s what one needs to provide. The high profile of his death, or anyone else’s, doesn’t relieve the requirement, especially in legal proceedings where the i’s must be dotted and the t’s crossed correctly. Separately, it may surprise you that not everyone in the world knows about Steve and his death. As Bindi’s paperwork wends its way through whatever systems it needs to in order for her to be paid, someone(s) undoubtedly will ask where the father’s waiver is. Simply providing a copy of the death certificate is the fastest and easiest way for her to get her lolly expeditiously, as well as to meet the law’s requirements. So, again, where’s the problem? It’s just one more example of a needlessly complex legal system. Why does the judge not have the discretion to use his commonsense? Anyway, nice to hear from you Janes! “Crikey!” just about says it all, Yolly, including a shaking of the head from side to side.